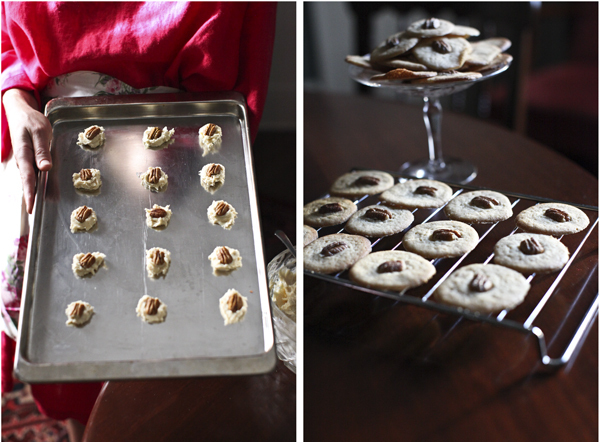 Those Little Pecan Cookies — Cohabitate Co.
Every Christmas we ask Dostie "Are you going to make those little pecan cookies?" She has made them every year for as long as I can remember; making and storing them in Christmas tins a few days ahead so that they are fresh and ready for the big feast Christmas night. When we asked her for the recipe several weeks ago, we found out that these are not only a Brown family favorite, but that this recipe originally came from Mrs. Louise Kemp Shiver, our sister-in-law's grandmother. Kate and I went down to Dostie's to make these decadent little sweets. Dostie sat down at the table, said she would supervise and be the taster. Kate put on Dostie's apron for good vibrations, and together we made "Those Little Pecan Cookies." 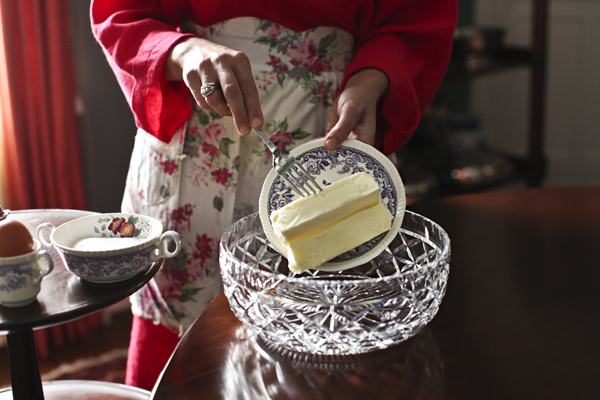 Set out your butter and let soften. 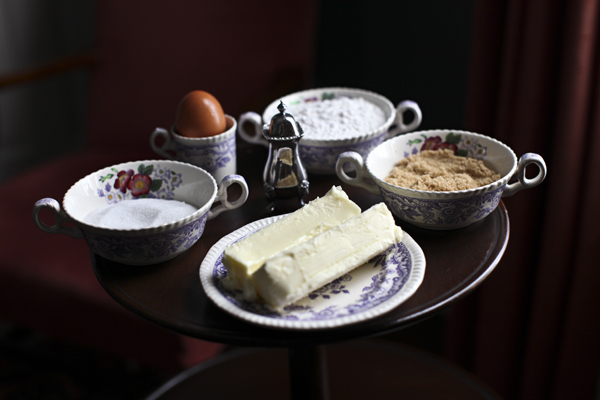 Combine white and brown sugar and blend with softened butter. Add your egg and vanilla; mix well. Then add flour and salt. Combine all ingredients thoroughly. Drop quarter size (about 1 teaspoon) dough onto a cookie sheet. 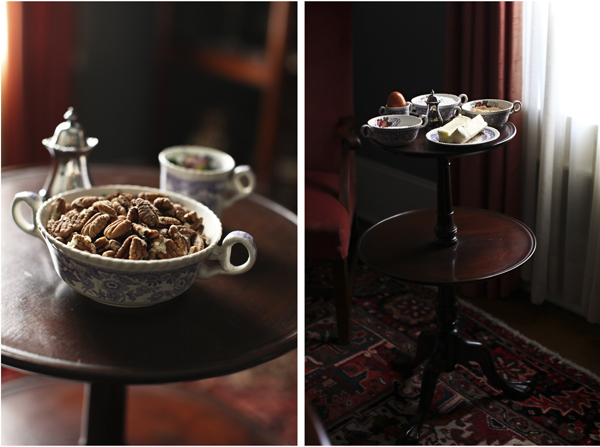 Then, simply press one pecan halve on top each cookie. Bake at 375° for 10 min.